There's a fine art to freezing your food. Those in the know are dextrous and canny, manoeuvring their goods into areas the untrained aren't even aware of. Making judicious use of placement, portion size and a wealth of other skills at their disposal, students of sub-zero storage know how to make the most of their freezer. All that aside, you'd be surprised at how little people know about storing their food properly. 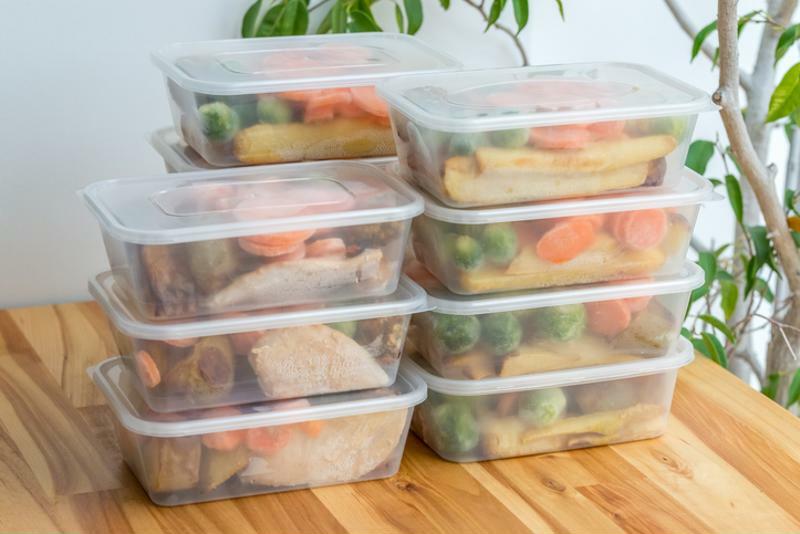 Rather than just cramming stuff in and slamming the door shut, the correct procedure could save you time, money and keep food fresher for longer. 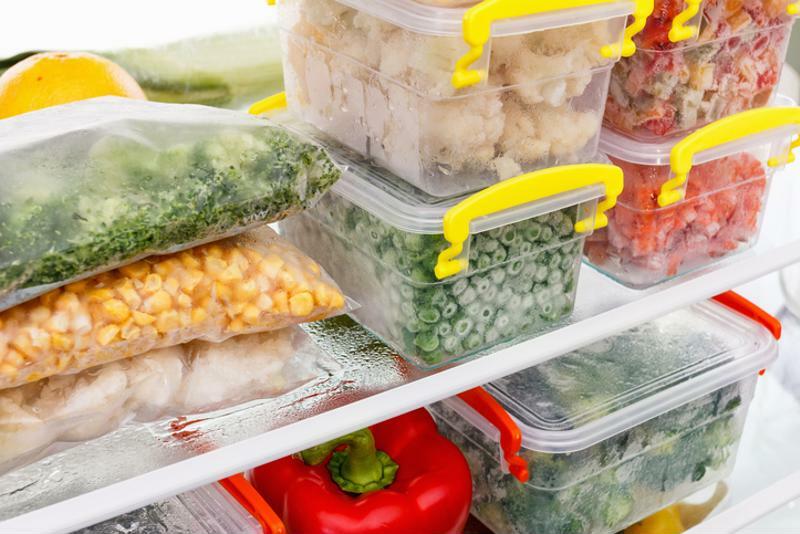 If you fancy braving the cold and learning the ways of the wise, then you're in luck, here's a practical guide to storing food properly in your freezer. 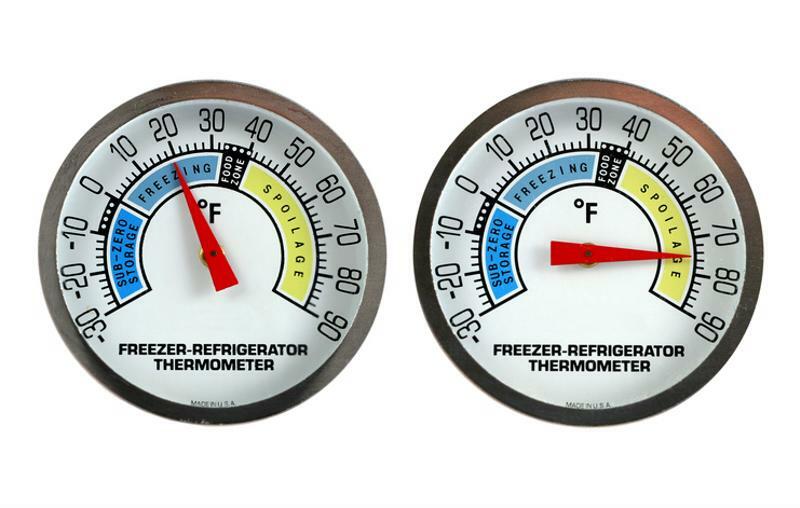 You might think that when it comes to freezer temperature, if it's cold then it's fine. But actually, there's an ideal temperature for freezing your food. Anywhere from -18°C and below keeps food safe to eat, and helps retain a number of important food characteristics such as vitamin content, flavour, texture and colour. Anything higher than this temperature is, strangely enough, too warm, and bacteria will start to grow again. Additionally, it's better to freeze things when they're at peak freshness. The faster the food freezes at a lower temperature, the smaller the ice crystals; when it's time to thaw the food, the size of the crystals means there's less change in texture and a better-preserved quality of food. Make sure the temperature is just right. Where you place the food can speed up the freezing process and keep things as fresh as possible. It might seem like a bit of a game of Tetris at first, but with some nimble moving around, you can optimise the state of your freezer in no time. Place food against the side of the freezer walls, as this will cut down on the freezing time in a big way. Once they're completely frozen, rotate them with chilled foods that need to be frozen, so they can benefit from the speedier freezing process. Place meat, poultry and fish on the bottom shelf of the freezer. Fruit and veg are fine to go above; store them in sealed containers, but if you're freezing bananas, make sure you peel them first as the skins don't fare all that well in this kind of temperature. Know where to place items for the best results. Be mindful of what's being placed in the freezer, as some food products are not suited to the freezing temperatures. Never freeze canned foods in their cans; empty the contents into containers if you need to do this. 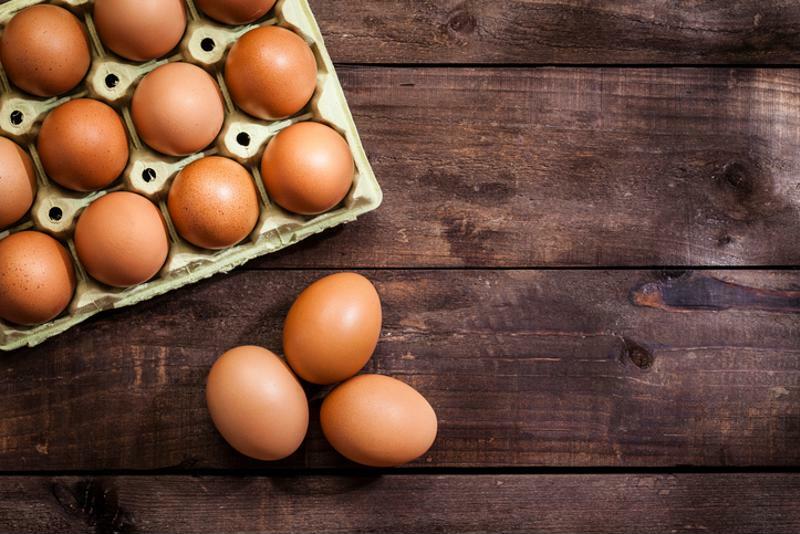 Likewise, eggs that are still their shells are unsafe, but cracked eggs tend to be OK. Elsewhere, dairy products such as cottage cheese and yoghurt, as well as mayonnaise and cooked eggs will be adversely affected in terms of their texture. Fried foods can become rancid in such temperatures, while heavy, fatty sauces can curdle and separate. Not every food is freezer-friendly. Freezer burn transforms delicious-looking food into shells of their former selves. Tender steaks turn a dull brown, vegetables get discoloured and food often gets thrown out as a result. It's usually still edible, but what was once mouth-watering morsels look pretty unappealing all of a sudden. When food loses its moisture and comes into contact with air, or it's stored for a long period of time, freezer burn occurs. When food is put into the freezer, water evaporates out of it, and when the moisture evaporates, food hits cold air and freezes, forming ice crystals that make little pockets of air on top of the food's surface, further increasing exposure to air. Luckily, it's an easily avoidable situation; wrapping the food properly ensures air is sealed out. Material that's moist and vapour-proof works well, while durable materials will help stave off absorption of unpleasant off-flavours or odours. 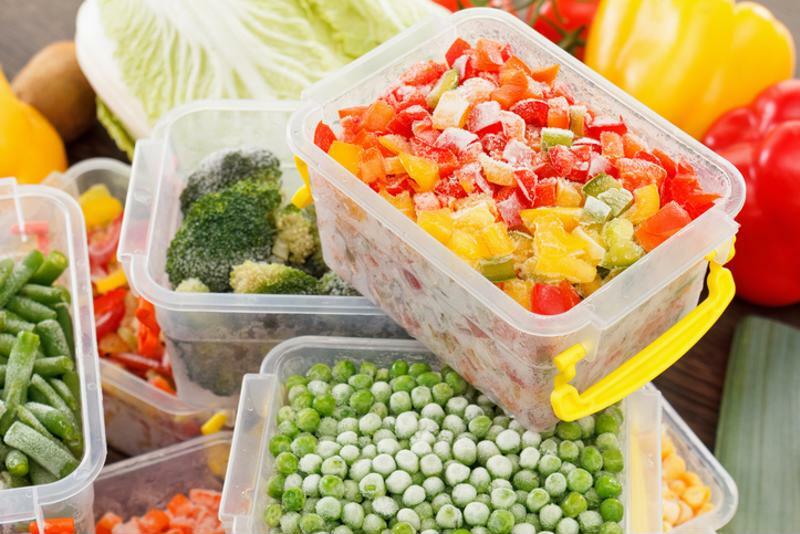 Rigid containers made of aluminium, glass, plastic or waxed cardboard, as well as freezer bags are excellent choices. Know how to avoid freezer burn. When you're freezing food, portion things out into specific sizes so you only thaw what you need. The smaller size means your food will thaw quicker, too. If you're freezing liquids too, they'll expand as they become solid, so don't fill the container all the way. When portioning out, leave some space to allow for the liquid to expand. Similarly, when you only need to freeze really small portions or ingredients for recipes, use an ice cube tray. Ingredients such as tomato paste, stock, curry paste and pesto can be frozen in trays and placed into bags once frozen. Divide your food into serving sizes before you freeze it. 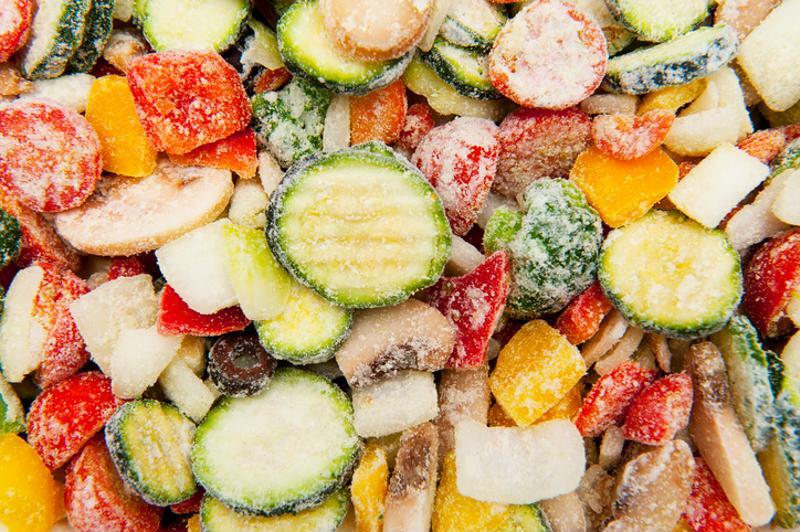 Storing frozen food for later use is much easier if you can find what you're looking for. 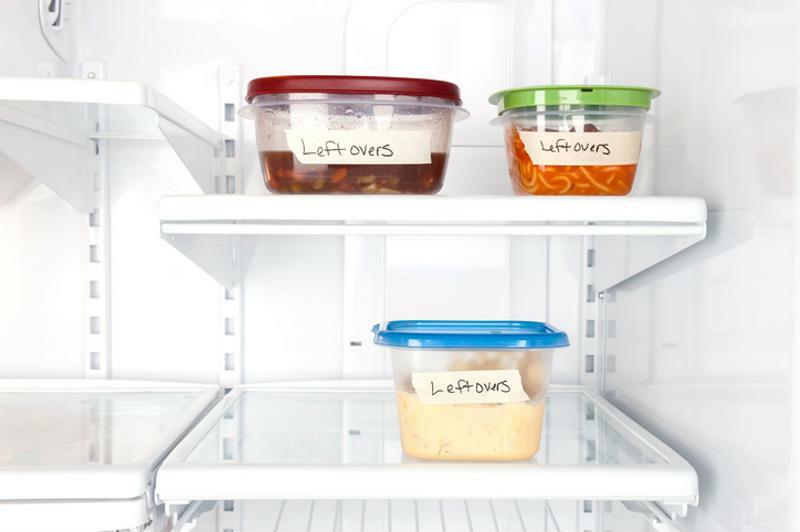 Label the containers you're storing food in with a marker pen, including what's in the container, the date it was frozen, and how many servings it contains. Rummaging around and pulling out bag after bag of months-old food is a bit of a drain on your time. It'll help to avoid wasting any food and means you will no longer confuse similar-looking ingredients such as parsley and coriander. Always label your containers so you know what you're grabbing. More stuff in your freezer uses less energy because a full freezer retains the cold better than an empty one. Air circulates around the food to keep everything cool, the frozen food will help to keep in the cold when you open the door, so your freezer won't have to use as much energy. However, be sure that you're not overstocking the freezer; when the items are packed too tightly it prevents air from fully circulating. If the food is also packed across the vents, then cold air can be stopped from entering the freezer; and when this happens that's when food starts to go off and thaw while inside. Store food efficiently and reduce energy use. Want to get more value from your fridge? Invest in FoodSaver, and you can keep refrigerated food fresh x5 longer thanks to our innovative vacuum sealers. To find out more, visit the FoodSaver homepage. We’ve written up a handy guide to what you need to know and how to start cooking sous vide, along with some meal ideas just in time for the new spring season. From sealing seeds to protecting tools, we’ll present the ways in which your vacuum sealer can help you get the best from your garden this spring! In this article, we’ll delve into a range of different diets that are proving popular right now, and show how vacuum sealing can benefit those on a culinary journey towards improving their health.